ProPan is a documentary style panning tool that allows users to create the classic Ken Burns effect with added parallax. 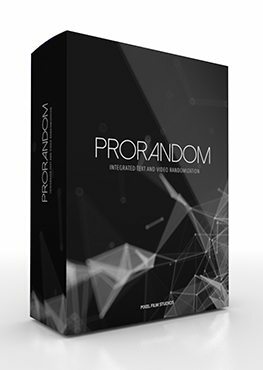 Instantly bring any subject into 3D space and adjust the degree of panning and rotational sweeping with ProPans intuitive controls. ProPan will require both Final Cut Pro X version 10.4.5 and Mac OS Mojave 10.13. ProPan is a documentary style animation tool created exclusively for use within Final Cut Pro X. With ProPan users can instantly transform a regular picture into a 3-dimensional scene with incredible parallaxing effects. ProPan is the perfect complement for slideshows, documentaries, and Youtube videos. ProPan features a built-in masking tool that allows users to expertly cut-out subject matter with the click of a mouse. Start by clicking on the screen to create points to surround the subject. Double-click a point to change its interpolation from linear to curved. “Command + Double-click” to delete a point. Double-click the line to add a point. Pixel Film Studios’ built-in masking tool makes it easy to get a crispy cut-out. ProPan features intuitive camera and cut-out options that allow users to create incredible parallaxing effects with the drag of a mouse. Utilize the “Cam Pos. Rate” and “Cut-Out Rate” controls to adjust the animation speed of the camera and cut-out respectively. Create incredible effects without a single keyframe with an easy-to-use interface. In addition to positional panning controls, editors can achieve sweeping effects with “Camera Rotation Rate” controls. Achieve X, Y, and Z rotations with three simplistic slider controls. Easily utilize these sliders for added camera dynamics in any scene. Pixel Film Studios plugins make amazing easy in Final Cut Pro X. Learn how to create a documentary style panning effect with the ProPan Lesson. Let’s begin by selecting ProPan from the generators library. Click and drag the preset into your timeline. Select the generator and go to the inspector window. First you will see an instructions checkbox. If you need a quick reminder when using this plugin simply select the instructions checkbox and bullet point instructions will appear in your viewer window. Before you begin adjusting Camera Controls or Cut Out Controls go down to the drop zone control section. Fill your drop zone by selecting the drop zone icon. Then select your footage in the FCPX media library. After you select your footage go to the bottom right corner of the viewer window and select apply clip. Now that we filled the DropZone its time to cut out our subject. Do this by clicking and outlining your subject in the viewer window. The points you see in the viewer window are referred to as guides. They can be turned on and off by clicking the guides checkbox in the cut out controls section If you want to delete a point hold the command key on your keyboard and double click the point. To completely start over click the clear button in the cut out controls section. Once you have outlined your subject you can then refine your points by choosing the edit mode checkbox. While in edit mode you can adjust your point guides so you have a more refined outline of your subject. Remember to turn of edit mode when you are finished. Begin by adjusting the Z cut out rate. The Z cut out rate will control the size of your cut out. You will want to make the cut out bigger than your subject so it is not to be seen while animating. Use the X and Y cut out rates to move the cut out left and right. After adjusting the cut out controls go up to the camera controls. Start by adjusting the angle of view slider in the camera controls section. You can then adjust the X, Y and Z camera positions. As well as the X, Y and Z camera rotations. Adjust position and rotation to make an eye catching animation. Again while making these adjustments make sure the subject you cut out is covering the original subject that is not cut out. Im seeing my Entire shot zoom in when I move the Zoom controls, did I miss something? In order to complete the mask shape, make sure you click back on your first masking point after setting the last point. An indication of your mask closing is you will notice the guide points will change color, and you should see the cut out of your shape.